Where To Invest In Birmingham Alabama General Overview? 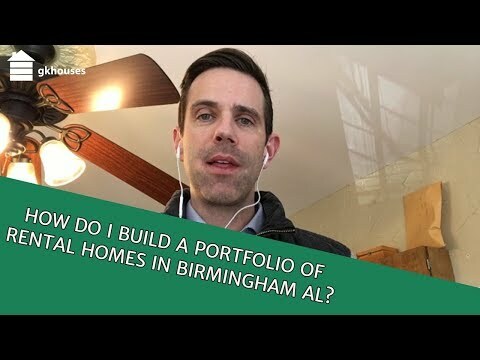 How Do I Build A Portfolio Of Rental Homes In Birmingham AL? After speaking with several out of state investors interested in buying houses in Birmingham, I decided to record a short message. What Is Your Birmingham Pricing? What Is Your Little Rock Pricing? Hey. Spencer Sutton here with GK houses and Little Rock. So I wanna answer the question today, what is your pricing? What Is Your Nashville Pricing? What Is Your Denver Pricing? Hey Spencer Sutton here with GK houses in Denver. And today I wanna answer the question, what is your pricing? What Is Your Chattanooga Pricing? All right. Spencer Sutton here with Gkhouses, and I want to talk to you about Chattanooga pricing. So, the pricing I'm gonna walk through is we've got three different pricing plans. What Is Your Fort Collins Pricing? What Are The Different Classes Of Neighborhoods In Birmingham, AL? What Class Neighborhood Should You Buy Rental Houses In? Should I Take Partial Deposit From My Tenant In Chattanooga? How Will You Market My House? Is gkhouses A Good Fit For You? How much should my home rent for? How Much Should I Budget For Maintenance For My Birmingham Al Rental Home? 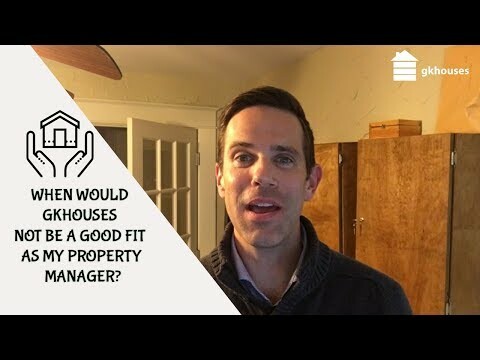 If I'm An Out Of State Investor How Do I Know Who Is A Good Property Manager In Birmingham AL? 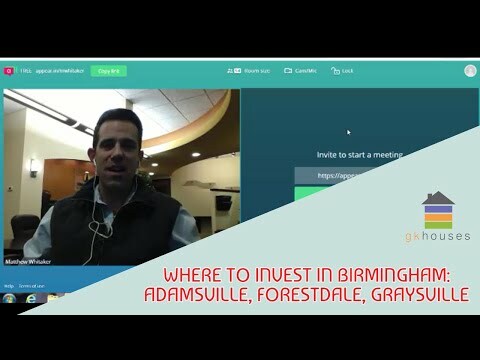 We get asked for advice on Birmingham real estate investing a lot. And it makes sense becuase over the years we have managed thousands of rental houses in the Birmingham area. A friend called me the other day and asked for some advice on buying Birmingham rental property and this video explains what I told him. Who Is Responsible For Following Fair Housing Laws? My Tenant In Chattanooga Isn't Cutting The Grass, What Should I Do? 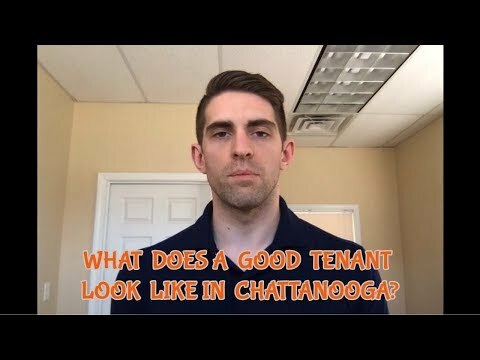 How Long Do I Have To Send My Tenant Back Their Security Deposit In Chattanooga? 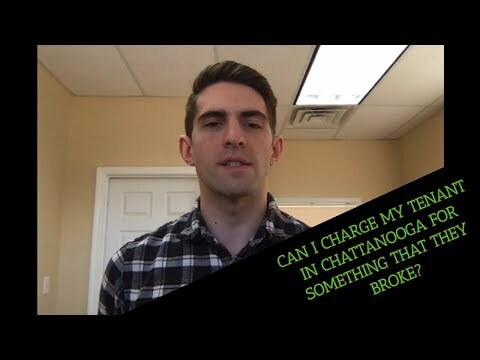 Can I Charge My Tenant In Chattanooga For Something That They Broke? My Tenant In Chattanooga Bounced A Payment, What Should I Do? What Do Property Managers Do In Chattanooga? Should I Offer My Vacant House With A Furnished Option? Should I Require A Security Deposit On My House In Chattanooga? What Can I Get For My Rental House? How Many Showings Does It Take For Me To Get An Application? I Am A Real Estate Agent How Much Do I Get Paid To Refer A House To gkhouses? Where To Invest In Birmingham, Center Point, Roebuck, Huffman Edition? Hey everybody, this is Matthew Whitaker with gkhouses. I'm back with another episode of Where to Invest in Birmingham, Alabama. Today...I've already done a video on kind of the entirety of Birmingham, but today I wanna zoom in on certain areas. Those three areas are Center Point, Roebuck and Huffman, which are very popular investment destinations, if you will. So I'm gonna go over here to my map and here's a map of Birmingham. Center Point, Roebuck and Huffman are up and down Highway 75, which is on the northeast side of Birmingham. And you'll see Highway 75 right here, that is also called Center Point Parkway. So I'm gonna zoom in on that. Went in a little too far. What's up everybody, Alex Smith here from gkhouses, Chattanooga. This is another edition of Questions Owners Ask. Today's question is, "How much do you charge for maintenance?" 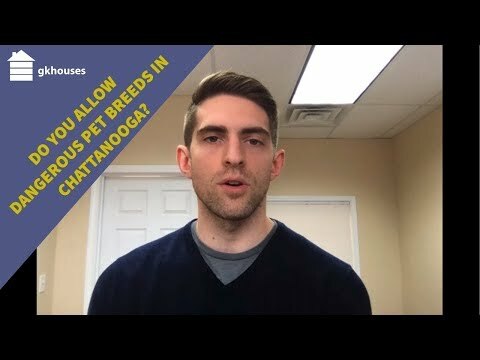 I Don't Want To Allow Pets In My Chattanooga Home, Can I Still Rent My House? Everybody, Alex Smith here, from the gkhouses office in Chattanooga, and this is another installment of questions owners ask. Today's question is, "I don't want to allow pets in my home. Can I still rent my house that way?" How Many Applications Does It Take For Me To Get An Approved Applicant Copy? Hey everybody. Alex Smith here from the gkhouses office in Chattanooga. This is another installment of Questions Owners Ask. And today's question is, "How many applications is it gonna take before I get that approved applicant?" What's up everybody? Matthew Whitaker here, shooting another video, Questions Owners Ask. Today's question is how much is your application fee and what does that go for? My tenant has a dog which is against the lease What should i do? Hey everybody. Matthew Whitaker back with another Questions Owners Ask. Today's question is, my tenant has a dog against the lease, what should I do? My tenant wont let me in the home what should i do? Hey, everybody. Matthew Whitaker back with another question owners ask. Today's question is, my tenant won't let me in the home, what should I do? My tenant is threatening to sue me what should i do? What's up everybody? Matthew Whitaker here, back with another question owners ask. Today's question is, my tenant is threatening to sue me, what should I do? Hey everybody. Matthew Whitaker back with another Questions Owners Ask. Today's question is kind of weird, it is when would gkhouses not be a good fit for you? What if I dont want pets in my home? Hey everybody. Matthew Whitaker back here with another Questions Owners Ask. Today's question is, can I rent my house to people that don't have a pet? Do you manage student housing? Hey, everybody. Mathew Whitaker back with another question owners ask. This question is gonna be a really easy one, do you manage student housing? I want to rent my home in Birmingham Al what do I need to know? What's up, everybody? Matthew Whitaker here doing another "Questions Owners Ask." Today's question is I want to rent my home in Birmingham, Alabama, what do I need to know? The first thing I would say is how important it is to find a good tenant. At the end of the day, if I had to tell you one piece of advice, it is so imperative, find a good tenant. What's up, everybody. My name is Matthew Whitaker. And this is going out to my property management or potential property management buddies out there. So if you're already a broker and you're considering getting into property management, I have three things I want to tell you, three quick things. What other benefits do property managers provide other than manage my property? What's up, everybody? Matthew Whitaker here with another "Questions Owners Ask." Today's question is what other benefits do property managers provide other than managing my property? Hey everybody. Matthew Whitaker, back again with another "Question Owners Ask." Today's question is, can you lease my home, and then let me manage it? I am a real estate agent how do i show one of your homes? What's up real estate agents? I'm Matthew Whitaker here with a little self...like a help for you, super excited that you're interested in showing one of our properties. Hey everybody. Matthew Whitaker here with another "Questions Owners Ask." Today's question is, where should I market my home for rent in Birmingham, Alabama? Should I allow my tenant to move without paying a deposit ? What's up, everybody. Matthew Whitaker here with another Questions Owners Ask. And today's question is, I have a prospective tenant that's moving into my home and they can only pay a partial deposit, should I take that partial deposit and first month's rent and let them move in? Hey, everybody. Matthew Whitaker here with another "Questions Owners Ask." Today's question is, "My property manager isn't sending me the rent when he's supposed to. What should I do?" What's up, everybody? Matthew Whitaker here with another "Questions Owners Ask." Today's question is, "What is the best book that you've ever read on real estate investing?" Hey, everybody. Matthew Whitaker here. Today I'm doing "Questions Owners Ask." And I'm talking about our maintenance limit. What's up, everybody? Matthew Whitaker here with another Question Owners Ask, and this question is specifically for Birmingham, Alabama. In Birmingham, Alabama, how long does it take or how long do I have to get a tenant security deposit back to them? What's up, everybody? Matthew Whitaker here, I'm in the car traveling. And I'm with Grey [SP] who challenged me to do a video a day. So, I'm getting it done right now in the car. So, hopefully the acoustics are okay. This is "Questions Owners Ask." 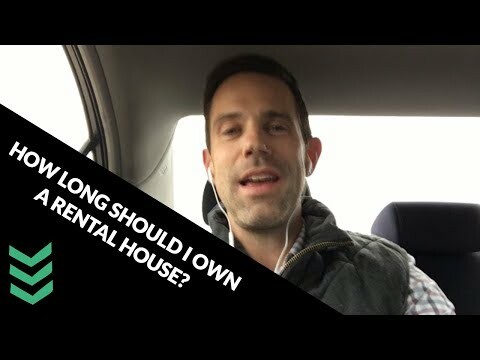 Today's question is, how long should I own a rental house? I cant rent my house what should i do? Hey everybody. It's Matthew Whittaker back with another "Questions Owners Ask." And today's question is, I can't rent my house, what should I do? What's up, everybody. Matthew Whitaker here with another "Questions Owners Ask." Sorry I got this backlight here making my face a little bit dark. But today's question is, is Alabama a tenant friendly state or a landlord friendly state? My tenant has cars in the front yard What should i do? Hey everybody, Matthew Whitaker back with another "Question Owners Ask." 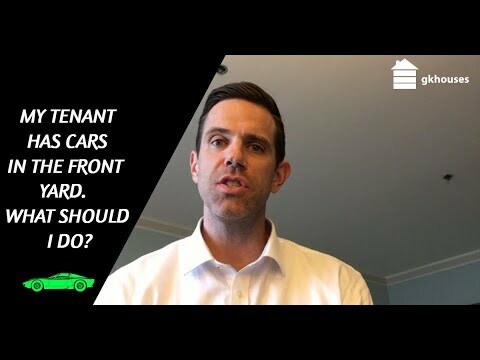 This question is for somebody that has a tenant in their house and they have cars in the front yard. So the question is, "My tenant has tons of cars in the front yard and what should I do about that? Hey everybody. Matthew Whitaker here with another "Questions Owners Ask." Today's question is my tenant just bounced a check to me, what should I do? Hey everybody. Matthew Whitaker back here with another Questions Owners Ask. Today's question is, what do I do if a tenant leaves owing me a balance? What happens if the tenant breaks something How do i charge for repairs? What's up everybody? Matthew Whitaker here back with another "Question Owners Ask." Today's question is about tenant repairs. What happens if your tenant breaks your air conditioner and the reason that the air conditioner heat is broken is because the tenant didn't change the air filter? 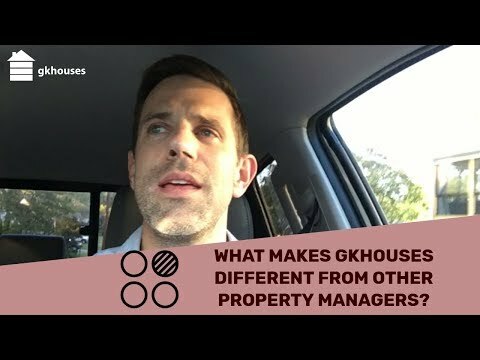 What makes gkhouses different from other property managers? What's up, everybody? Matthew Whitaker here, just wanted to shoot a video, had a few minutes on my ride home. This is something we've been doing at gkhouses, doing some introspective work and just wanted to talk to you about it. We've been deciding well, what really makes us different? What's up everybody? Matthew Whitaker here, I'm doing another "Questions Owners Ask." I'm in another hotel room doing it. Today's question is, what is the biggest danger about renting and managing my own house? Hey everybody. Matthew Whitaker back with another version of "Questions Owners Ask." Today's question is, what are the types of houses should I invest in? Where should i look if i want to flip a house in Birmingham Al? What's up everybody, Matthew Whitaker here, another "Questions Owners Ask." Today's question is "Where should I look if I want to flip a house in Birmingham, Alabama?" What's up, everybody? Matthew Whitaker here doing another "Questions Owners Ask." Today's question is, "When do you send out owner statements?" Hey, everybody. I'm Matthew Whitaker. I'm here again with another installment of questions owners ask. And today I'm dealing with a quick one. It is when an owner asks, "What if I don't like you? What's up, everybody? This is Matthew Whitaker back with questions that owners ask. I'm with gkhouses. And right now, I'm covering the question, "How does property management work?" Should I use a Home Warranty with my rental home? Hey, everybody. This is Matthew Whitaker. This is the next installment of questions owners ask, and today I'm gonna cover home warranties. "Should I use a home warranty with my rental house?" How long does it take to evict a tenant in Birmingham, Alabama? What's up, everybody? This is Matthew Whitaker, and this is Questions Owners Ask. Today's question is: How long does it take to evict a tenant in Birmingham, Alabama? How do I find a tenant to rent my home? What's up everybody, Matthew Whitaker here. I wanted to do a quick video, questions owners ask, with gkhouses, and this question is, "Where do you find tenants?" What's up, everybody. My name's Matthew Whitaker. I want to welcome you to our first video on Google My Business page. What is an operating reserve and how does it work? Hey, everybody. This is Matthew Whitaker here, and I'm doing questions owners ask. And today's question is, "what is an operating reserve and how does it work?" Will you rent my home and let me manage it? Hey, everybody, Matthew Whitaker here doing a quick video, questions owners ask. What should I look for in a rental application? In this video, I am going to walk you through on what should you look for in a rental application. Hey, Spencer Sutton here, and I'm out in the field. I'm actually waiting on somebody to meet me at their house. Hey, Spencer Sutton here and I wanna answer the question what kind of lease will my tenants sign? So that's a great question. What Are The Negative Factors That Might Keep My House From Renting? Spencer Sutton here and I wanna talk to you a little bit about what could cause your house to sit on the market longer than maybe you think it should. Hey, Spencer Sutton here with gkhouses. Today, I want to talk to you about the Eviction Protection Plan, or we call it the EPP here in the office. My home won't sell and I'm thinking about renting it, what should I do? Hey, everybody. Matthew Whitaker here. I am doing questions owners ask. Today's question is, "My home won't sell and I'm thinking about renting it. What should I do?" Hey, everybody, Matthew Whitaker here, shooting another Questions Owners Ask. Today's question is, "What if I have a tenant under a lease, but they're not living in my rental home?" How does having an HOA affect renting my home? Hey everybody, Matthew Whitaker here doing another version of "Questions Owners Ask" Today's question is how does an HOA affect ruining my home? Hey, it's Matthew Whitaker here back with another question owners ask. This question is how do I fire my previous property manager? Hey everybody. Matthew Whitaker here. I'm doing a video on "How Do I Sell My Rental House? What's up everybody. Matthew Whitaker again with "Questions Owners Ask." Today's question is, how do tenants pay you rent? I just got a threatening letter from a tenants attorney, what should I do? Hey everybody. Matthew Whitaker here. I'm doing another "Questions Owners Ask." 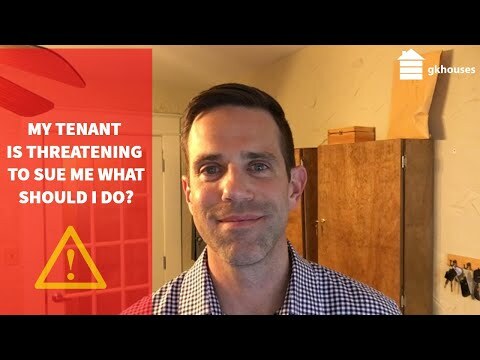 Today's question is, "I just got a threatening letter from a tenant's attorney, what should I do?" Hey everybody. Matthew Whitaker here doing "Questions Owners Ask." Today's question is, "How much does it cost to evict a tenant in Birmingham, Alabama?" What's up, everybody? Matthew Whitaker here. I wanted to do another video. This video is called "If I Buy a House, Can You Renovate it for Me? What's up everybody? I'm looking a little homeless here. Got my beard on. It's Sunday afternoon, so, obviously, I hadn't shaved in a few days. Today, we're gonna talk about reviews, property manager reviews in Birmingham, Alabama, Nashville, Tennessee, Chattanooga, Tennessee, Little Rock. Matthew Whitaker, back again here talking to you Questions Owners Ask. This question is, where do I find a good handyman to help me with my rental houses? What's up, everybody? Matthew Whitaker here with another "Questions Owners Ask." Today's question is, how do I rent my condo? My tenant is destroying my house, what should i do? What's up, everybody? Matthew Whitaker here. Gonna do a quick video. I'm in Chicago attending a conference and I wanted to cover the question, my tenant is destroying my house, what should I do? 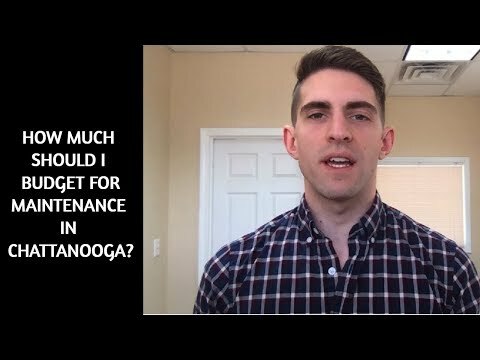 How Do You Screen A Potential Tenant in Chattanooga? What Is The Best Book On Real Estate You've Ever Read? Is Your Home Rent Ready? What's up, everybody? Matthew Whitaker back with another Questions Owners Ask. Today's question is, how do I build a portfolio of rental homes in Birmingham, Alabama? What Is Our Fort Collins Pricing? Hey. Spencer Sutton here with gkhouses. And today, I wanna give you three reasons why you should use gkhouses for your rehab or your property maintenance. What's up, everybody? This is Matthew Whitaker, and this is questions owners ask. Today's question is, "How long does it take to evict a tenant in Birmingham, Alabama?" What's up everybody? I'm going to do a video, tell you on questions owners ask. What industry is Birmingham, Alabama mostly made of? Hey, everybody. Alex Smith here from the Gkhouses office in Chattanooga. This is another edition of "Questions Owners Ask." And today's question is, should I require a security deposit on my house? Should I Take A Partial Deposit From A Tenant In Chattanooga? Hey, my name is Spencer Sutton and today I'm gonna answer the question, "How will you market my house?" Hey everybody. Matthew Whitaker here with another installment of Questions Owners Ask. Today's question is why don't we get probably the most and that question is how much will my house rent for? Hey everybody. Matthew Whitaker back with another Question Owners Ask. Today's question is, how much should I budget for repairs and maintenance for my Birmingham home? Mathew: What's up, everybody? 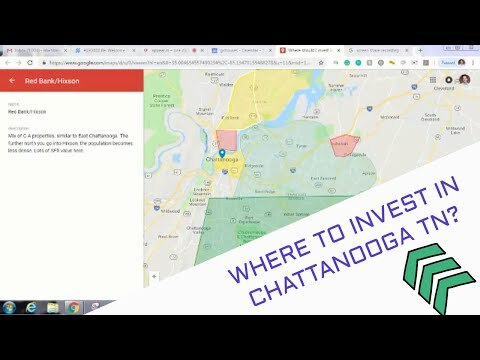 Mathew Whitaker back here with another Where to Invest in Chattanooga episode with my man, Alex Smith. Alex: What's up, everybody? What's up, everybody? Matthew Whitaker, back with another "Question Owners Ask." Today's question is about Fair Housing laws, like, who has to abide by Fair Housing laws? What's up, everybody? Alex Smith here from gkhouses, Chattanooga. Again, this is another edition of Questions Owners Ask. Today's question is, "My tenant isn't cutting the grass, what should I do?" What's up, everybody? Alex Smith here with another edition of "Questions Owners Ask." Today's question is how long do I have to get the security deposit back to my tenant that just moved out? What's up everybody, Alex Smith here from gkhouses, Chattanooga. This is another edition of, "Questions Owners Ask." Today's question is, "Can I charge my tenant for something they broke?" What's up everybody? Alex Smith here from gkhouses Chattanooga with another edition of "Questions Owners Ask." Today's question is, my tenant just bounced a payment, what should I do? What's up, everybody? Alex Smith here from gkhouses, Chattanooga. This is another edition of Questions Owners Ask. Today's question is, "How much is your pet fee and what does it cover?" What's up everybody, Alex Smith here, from gkhouses, Chattanooga. It's another edition of, "Questions Owners Ask." 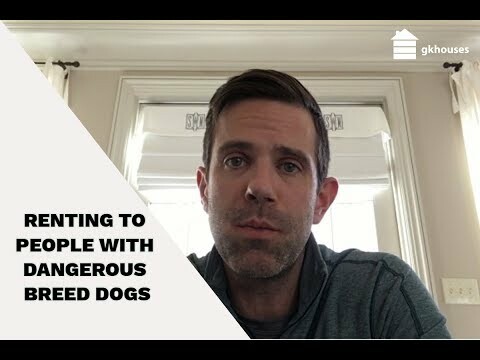 Today's question is, "Do you allow dangerous pet breeds?" What's up, everybody. Alex Smith here from gkhouses, Chattanooga. This is another installment of Questions Owners Ask. Today's question is, "What the heck do property managers even do?" What's up, real estate agents? My name is Matthew Whitaker. I am the founder of gkhouses. What's up everybody? Matthew Whitaker back here doing another version of Questions Owners Ask. The question I'm gonna conquer today or at least try to conquer is, what do property managers even do? What's up, everybody? Matthew Whitaker here. It's late at night, and I just wanted to shoot a quick video. This video is called "Why I Would Not Quit My Day Job." Hey, everybody. I'm doing "Questions Owners Ask, and today's question is, "I have a swimming pool in my backyard. Can I still rent my house?" What's up, everybody? Matthew Whittaker, here. I'm doing questions owners ask. What's up, everybody? Matthew Whittaker here. Short video on questions owners ask. So, the question I'm doing right now is, "Can I pick the tenant that goes into my home?" What's up, everybody? Matthew Whitaker here. I'm shooting another "Questions Owners Ask," and today's question is, "Where should I market my home for rent?" What's up everybody, Alex Smith here from GK houses, Chattanooga. This is another edition of Questions Owners Ask. Today's question is, "How much do you charge for maintenance?" My Tenant Has A Dog Against The Lease - What Should I Do? Should I Allow My Tenant To Move In Without Paying A Deposit ? What Happens If The Tenant Breaks Something - How Do I Charge For Repairs? Hey, everybody. This is Matthew Whitaker here, and I'm doing questions owners ask. And today's question is, what is an operating reserve and how does it work? In this video I am going to walk you through on What should you look for in a rental application. Hey, Spencer Sutton here with gkhouses. Today, I wanna talk to you about the Eviction Protection Plan, or we call it the EPP here in the office. Hey, everybody. Matthew Whitaker here. I am doing questions owners ask. Today's question is, my home won't sell and I'm thinking about renting it. What should I do? hey, everybody, Matthew Whitaker here, shooting another Questions Owners Ask. Today's question is, "What if I have a tenant under a lease, but they're not living in my rental home? Matthew and Spencer discuss buying rental property in a growing area of Birmingham. This is an area that was developed later in Birmingham's history and has grown substantially the past 20 years. What's up, everybody? Alex Smith here from Gkhouses, Chattanooga. Wanted to do another Questions Owners Ask. Today's question is, "How do you screen a potential tenant?" What's up, guys? Alex Smith here from gkhouses Chattanooga. 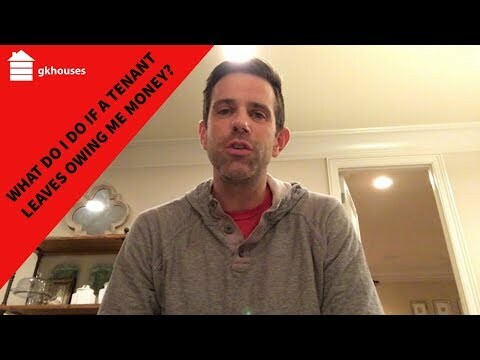 I wanted to do another Questions Owners Ask and answer the question what does a good tenant look like?